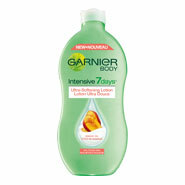 New Garnier Coupons - $8.00 Worth!! Save $1.00 on ANY Garnier Fructis Fruit Sensation Product. Click here to choose your coupons where you will be re-directed to Websaver to complete your order. Save $2.00 on your next purchase of Nexcare Skin Crack. Go here to print your coupon. >>>>>>SAVE $3.00 on your next purchase of ANY one Finish Quantum Dishwasher Detergent! There are three different types: Fresh, Baking Soda & Lemon Sparkle. Print your coupon here while it's still available! >>>>>>Save $2.00 here WUB2 Ritter Sport Chocolate. Coupon expires March 3, 20130. >>>>>>Apparently Boogie Wipes are now available in Canada - moms just love them & so do kids with running noses! Their site states they are available at Wal-Mart's in the pharmacy department. Print your $.50 coupon valid on 30, 45 or 90 ct wipes. Coupon expires June 30, 2013. Save $1.00 on any Arctic Gardens bag of vegetables with this Printable coupon. The coupon offer can be found on the right hand side of the Canadian Living website page. Enter your email address here to print your coupon! SAVE $1.50 on RUB A535 Extra Strength Cream 200g Pump or RUB A535 Ice Gel. Print your coupon here. Printable Coupon for Ritz Crackerfuls! Like Ritz Canada's Facebook Page here and receive a $1.00 coupon towards any variety of Ritz Crackerfuls. Print and save $1.00 on any one 1.36 L SunRype Smoothie! Redeem your FPC for Special K Cracker Chips TODAY ONLY! Today February 9, 2013 is the ONLY day to redeem the FPC for Special K Cracker Chips as stipulated on the coupon!! Save $1.00 on any o.b. product with this printable coupon. Coupon expires February 28, 2013. Three new Garnier coupons available - $11.00 total including a HVC of $7 WUB ANY Garnier Pur Control Products!